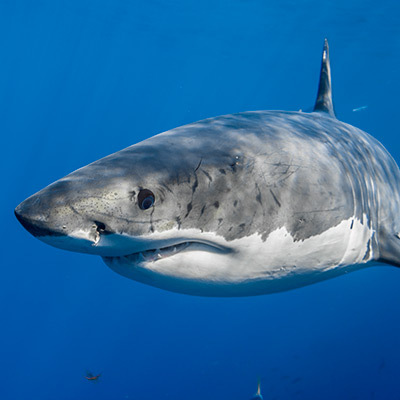 This is a portrait of my favorite great white shark (Carcharodon carcharias), “Cal Ripfin.” Cal’s name is based on a combination of the famous Orioles player and the fact that his dorsal fin is mutilated. 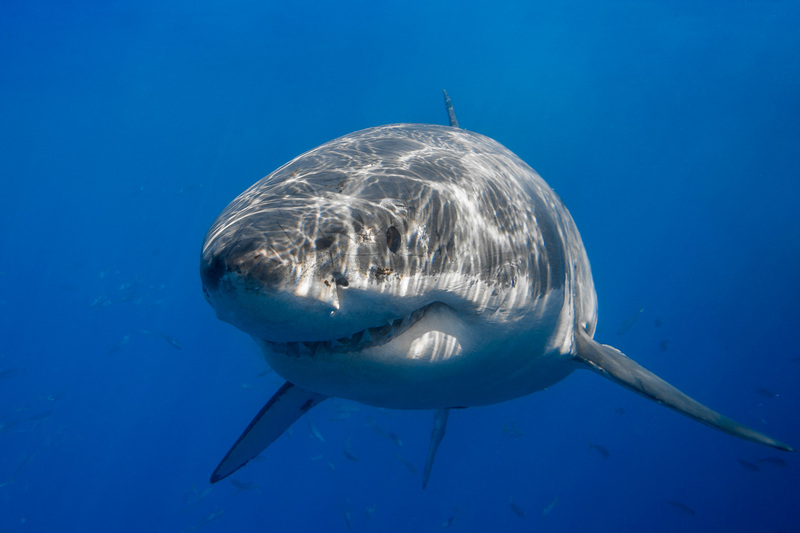 Cal is also known by the nickame “Shredder,” which is also based on his damaged dorsal fin. 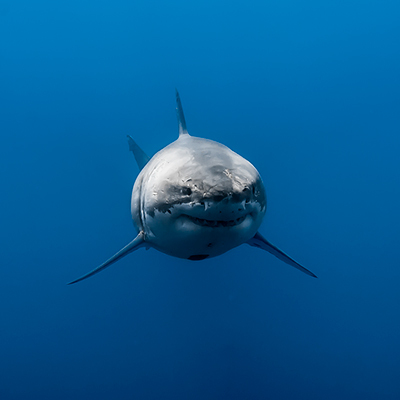 He was a regular visitor to Isla de Guadalupe for many years, and whenever he was around, my camera got a workout. Cal hasn’t been seen since 2011, and his presence at the island is greatly missed.